Received a strange email from PayPal? Might be an obvious statement if you’re comfortable with technology, but PLEASE don’t follow the instructions. As an exercise in gathering information, we did. It all starts with an email, claiming to be sent from PayPal. 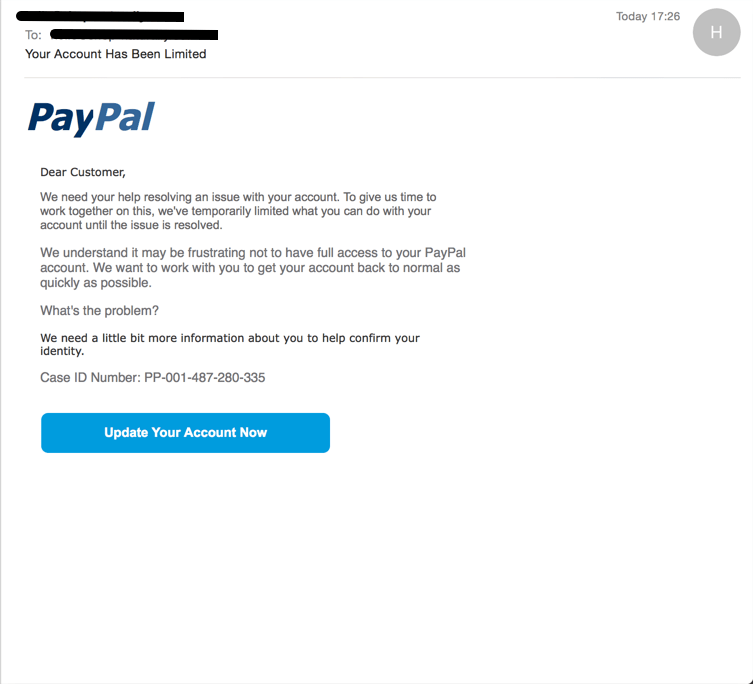 If you don’t get many PayPal emails, unfortunately these look pretty genuine and are marked up as being sent from your email address – so at first glance it looks familiar. The lack of any personalised information (such as your name!) is a giveaway though, as PayPal and most other large scale services usually incorporate enough personal information in emails to demonstrate that they’re genuine (and have access to your account details). Clicking through from the email takes you to another pretty genuine looking page, but the simplest check of verifying what your browser states in its address bar would be enough to stop this scam in its tracks. Scam sites are often also littered with typos, or phrases that don’t seem right – treat these as the warning signs that they are! 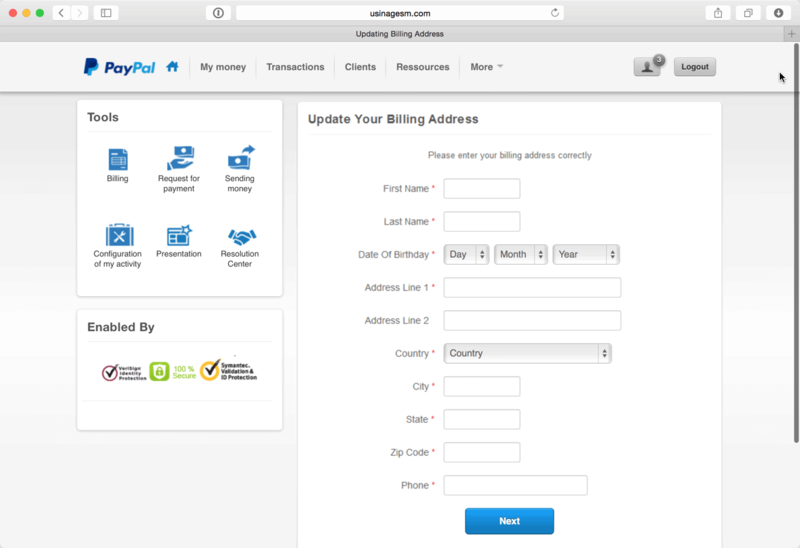 It might mention PayPal, but clearly this isn’t a PayPal.com address. It’s also not a secure site (no HTTPS or SSL) so your browser won’t be displaying a padlock icon or indicating that it’s a verified web site. Again, simple things to check that can prevent a scam from succeeding. 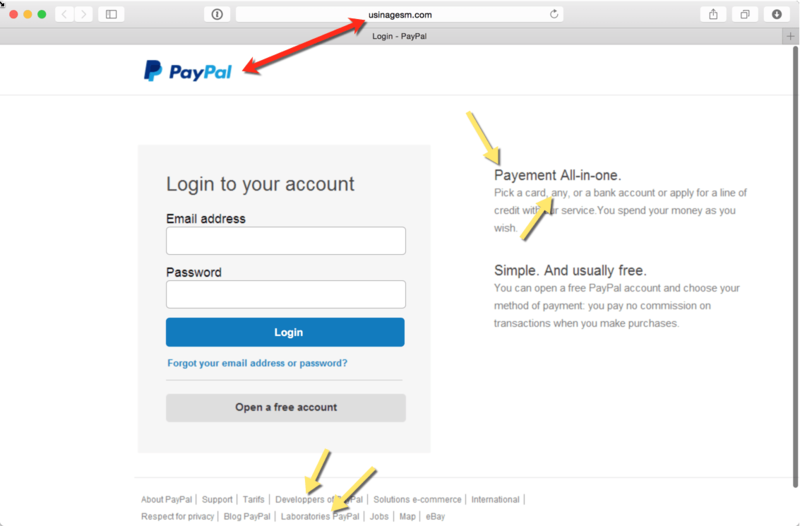 Putting any text with an @ symbol in the email box results in you “logging in” to an account area, which if you don’t use PayPal on a regular basis again looks relatively genuine. Surely by now however you’d have to be thinking something like “why do I need to enter all my details again”? If not… step away from the browser!! PLEASE don’t fall for it – and question anything which asks you for lots of detail that a service should really already have on file. OlderSmart watches & wearables – what’s all the fuss about? NewerJust finished my first ever week of commuting by bike! !